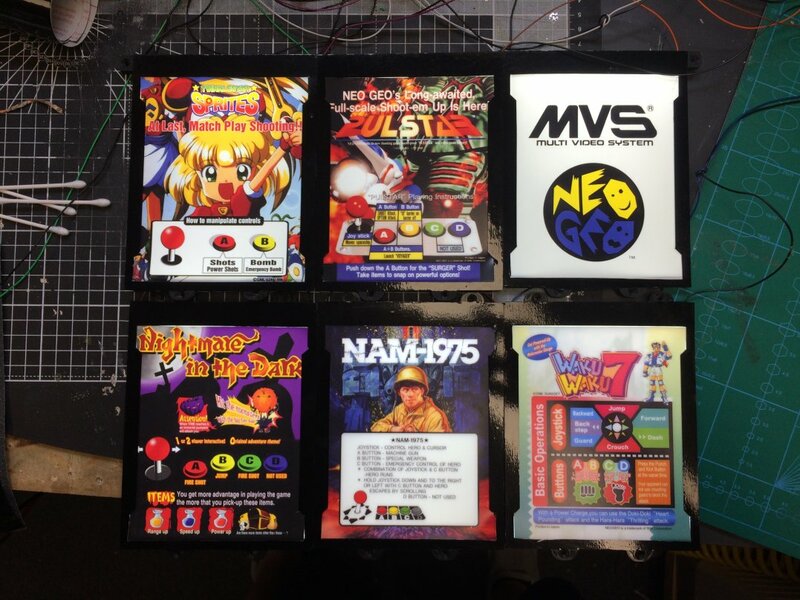 I am about to start selling the 2nd batch of my Led Mini Marquee Kits for Neo Geo 2 and 4 slot uprights, Big red, US style 6 slot and the Electrocoin 6 slot cabinets. 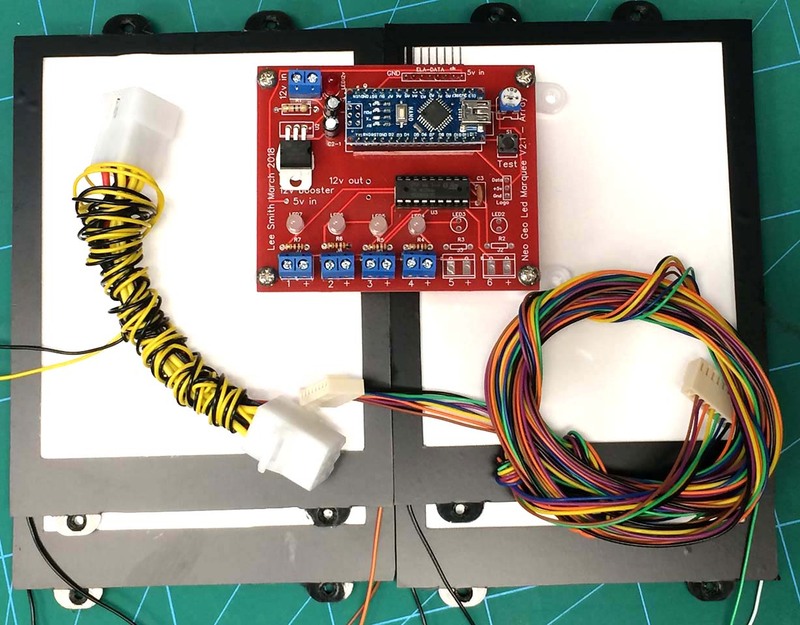 The kit comes with a control board that connects to the MVS and led mini marquee panels that replace the old EL panels. The kit replaces everything so will also work if you have nothing in the marquee just a backing light. I have sold over 20 of these kits so far and have refined the parts over time working with the guys at the neo geo forums. A 4 slot kit that works with your existing ELA data cable would be £73 + shipping. If you don't have the ELA data cable I can make a new one and also supply a 12v power extension for £20. This is the control board connected to my 4 slot. I have some pictures of completed kits. This is a Big red kit that uses the old ELA cable. and this is for a 4 slot upright that has nothing so it included the a new data cable and also a easy way to get 12v from the PSU. this is a set for the eurocoin 6 slot. I added PWM to each panel so the brightness can be adjusted. 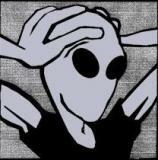 My software has modes so you can test each panel works when installing. 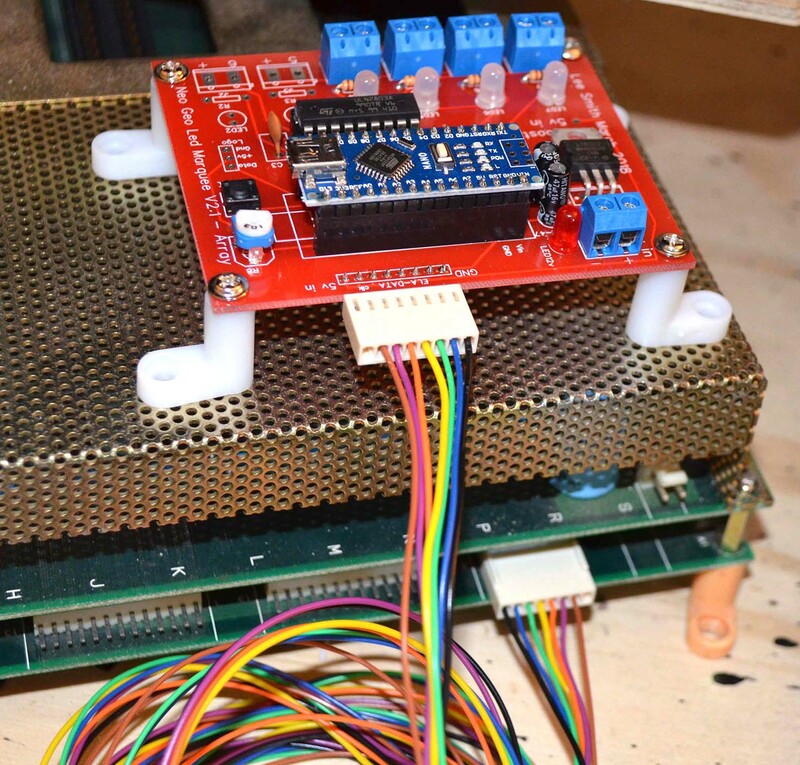 a clone arduino nano is very cheap and reliable. Same goes for creating my own design using the actual mega chip, crystal and power regulation instead of the nano v3, it costs more until you get to high qty. just giving this a refresh, I have enough for 15 x 4 slot kits at the moment so still plenty of stock. Really great work!! - They look awesome! If hadn't spent a small fortune on custom made replacement ELA panels a year or two ago I would have bitten your hand off. 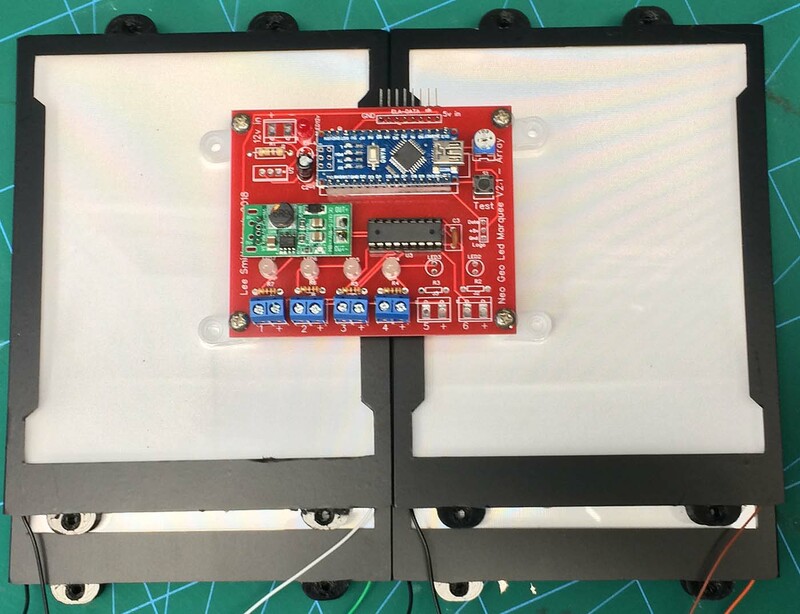 Just out of interest how much would an Electrocoin 6 panel kit be? if you have the oringinal ELA data cable from the MVS £99 plus post which is just small parcel in the uk. If you have those EL replacments that is quite a bit cheaper ! One of my customers just sent me his install video of my kit. It covers what to do if you do not have a backing board and just a strip light so it's very helpful and I really appreciate him taking the time to make this. This is how I make the PCB for the mini marquee kits.